Meatloaf is the star of one of my most vivid memories from the first grade. The class was having some sort of circle/sharing time, where everyone sat criss-cross-applesauce on the ground while one chosen student was perched up on a stool front and center, next to the teacher, to "present to the class". On this particular day, we were talking about our favorites. I was very shy in the first grade (and pretty much every grade), and probably not so jazzed about being the center of attention in front of the entire class. So, when I was asked about my favorite food, and quietly replied "...meatloaf." -- I must have been horrified by the "Ewwww!" I heard shouted out in unison by all of my friends. Meatloaf does not deserve the bad reputation it has gotten. As long as your mom knows what she's doing, like mine did, meatloaf should be a very happy thing. 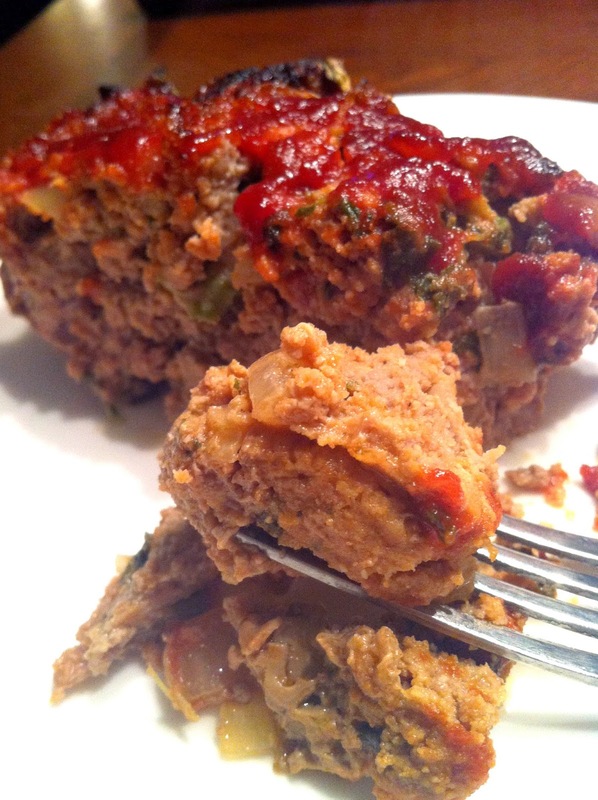 My mom's typical meatloaf creation usually contained a mash-up of ground turkey, oats (...yes, oats), and spices that was stuffed with a center of sliced mushrooms, spinach, and melty cheese. It was the best. Add all of the meatloaf ingredients to a large bowl, and mix up with a fork (or your hands) until combined. Transfer the mixture to the prepared loaf pan, and use your fork to even out the top. Bake for 35 minutes or until the top is lightly browned. Meanwhile, combine the tomato sauce, molasses, and hot sauce (optional) in a small bowl to create your sauce. 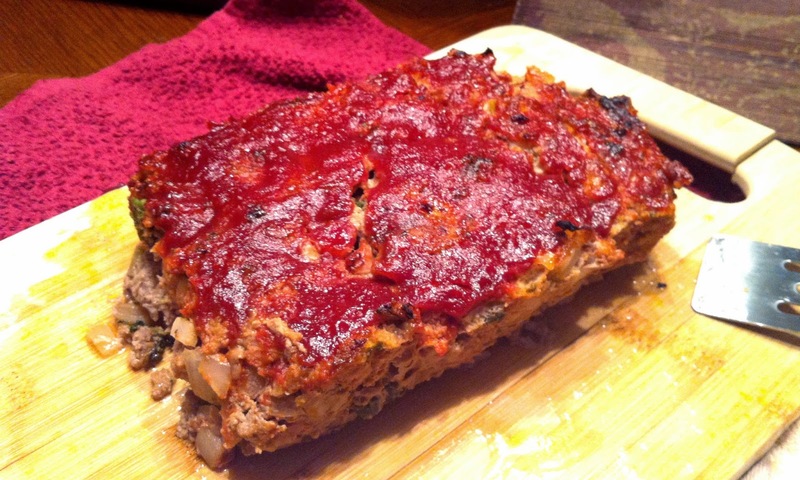 Top the browned meatloaf with the sauce, using a spoon to smooth it over if needed. Return to the oven for an additional 20 minutes. Optional: Turn the broiler on high for the last 5 minutes to caramelize the sauce a little. 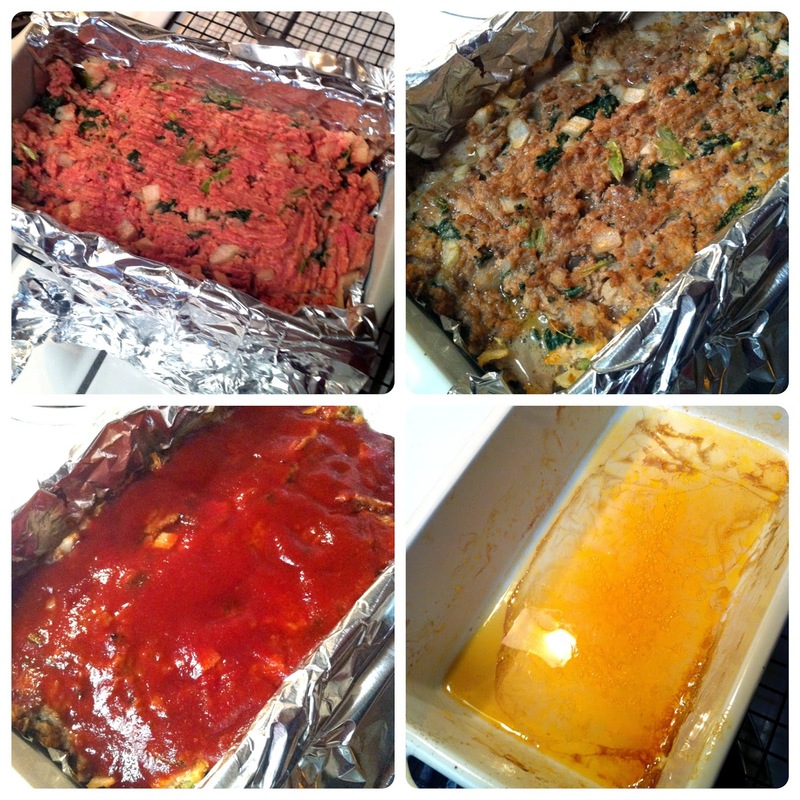 Let the meatloaf cool for a few minutes, then grab hold of the aluminum foil on each side to lift the meatloaf out of the pan & onto a cutting board or serving dish. This is the meatloaf with one slice stolen off the edge... to be shown pretty on a plate (and eaten). 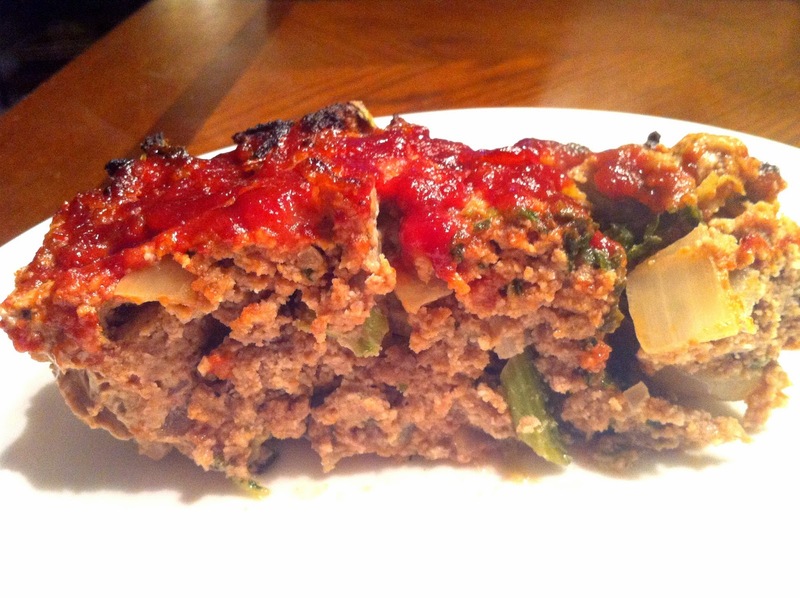 I hope you love the classic, hearty flavors in this meatloaf as much as I do!